Luxurious features, a beautiful private beach and endless amenities – it could only be Silver Bay Holiday Village, luxury living at its finest. 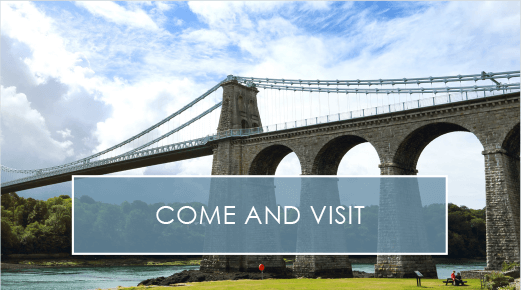 We strive to give our lodge-owners a truly unique holiday experience here on the Isle of Anglesey. So let’s dive in and explore the secrets of what life at Silver Bay is all about. Escaping the hustle and bustle of everyday living has never been easier (and essential) than with your own holiday lodge. A spacious open-plan layout, light fixtures, and dreamy full-height panoramic lodge doors all create a relaxing experience. 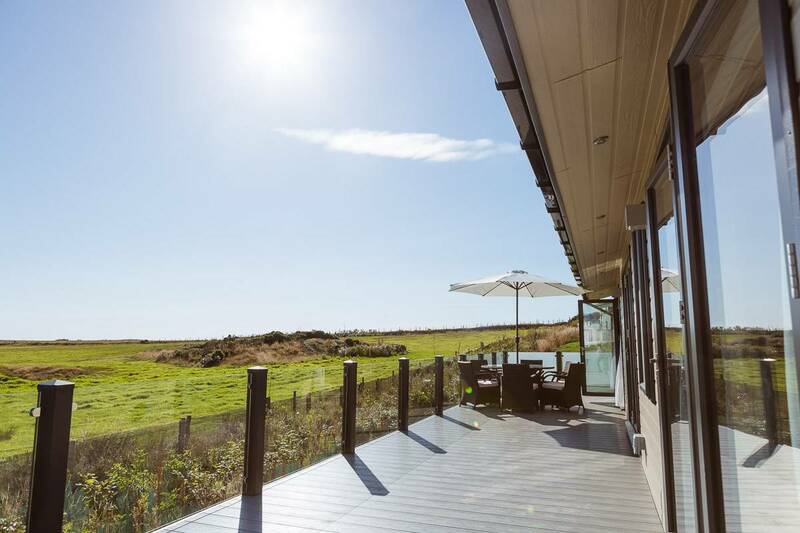 And with a magnificent view of the Snowdonia Mountains and Anglesey, waking up in the morning has never been easier at the Reef Edge Holiday Lodge. Keeping the children entertained can sometimes be a difficult task, but that’s where our children’s activities come in! Whether it’s orienteering trips in local woodland or participating in our sandcastle competitions, there’s something to bring all the family together. To give you a feel of what adventures we get up to at Silver Bay, here’s an example. We’ve been creating a new orchard area and making raised herb planters with Wonderwoods. Alongside Wonderwoods, our lodge owners have also been planting some new trees with our Groundskeeper Pierce. You can sneak a peek at more of what our lodge owners get up to on our Facebook page. Owning a holiday home at Silver Bay doesn’t stop with purchasing the property itself. There are an abundance of activities to get involved with that you and your family don’t want to miss out on. We all love a trip to the beach. 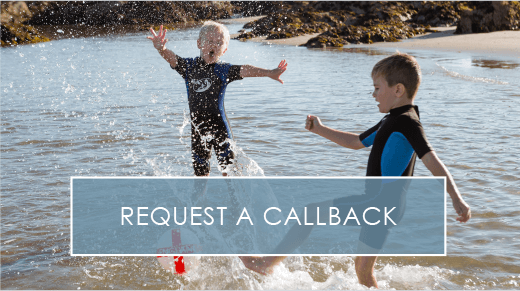 The smell of the sea evokes a sense of nostalgia for many of us and what better way to indulge yourself than by having access to your very own award-winning private beach whenever you want? The Silver Bay beach has been awarded the Green Coast Award which just goes to show that we know exactly how to treat and preserve our environment. We’re also delighted to say that recently we’ve been awarded Gold in the David Bellamy Awards. We’ve been awarded this for protecting and enhancing the beautiful natural area of Silver Bay and we couldn’t be happier that our efforts have been noticed. We’re continually inspired by the dreamy area of Silver Bay and, as such, we’ve recently begun work on our very own edible garden containing soft fruits and kitchen herbs. We’re so pleased with the results so far, and supplying our own kitchen with our own home-grown supplies will be a lovely treat. You’ll be delighted to hear that relaxation is key to the Silver Bay experience, which is exactly why we’ve recently opened our own luxury spa and leisure facilities. Whether it’s a dip in the pool, a bespoke massage or a trip to the sauna, our lodge-owners love making use of our quiet and serene spa. We also stock luxury Elemis products at the Silver Bay spa and if you’re searching for the perfect present for that special someone, we have just the treat. Enjoy fantastic food and great company at our on-site Deck House. At the Deck House, you’ll experience a myriad of different culinary delights, as well as some magnificent views of the Snowdonia mountains. Move between the spaces of our luxury lounge, restaurant, bar and adult-only area in the Farmhouse upstairs for a truly catered experience to your needs. The Deck House can also cater for your next special occasion with our private dining experience. We eliminate the stress of choosing and booking where to celebrate with your loved ones. Bringing the whole family together has never been easier when you have the Deck House just around the corner from your holiday home. For booking on our private dining, please ring us on 01407 860860. If you need further tempting, we’ve recently uploaded our Autumn/Winter menu for our lodge-owners to peruse. Dreaming of owning a holiday home at Silver Bay? 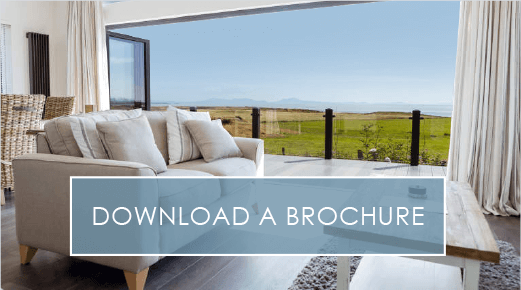 Sneak a peek through the keyhole of our holiday homes with our free e-brochure. Even more curious? Why not give one of our friendly team members a call on 01407 860 111?